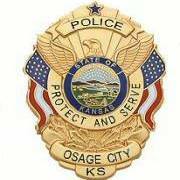 OSAGE CITY—The Osage City Police Department has discontinued a search for a suspect related to an alleged stabbing. Nech said no charges have been filed and no arrests have been made. Around 2:10 p.m. Dec. 1, Osage City Police responded to a stabbing call at a rental property in the 800 block of Lakin Street, in Osage City. The victim of the stabbing was taken by Osage County EMS to Stormont-Vail HealthCare in Topeka with “urgent” injuries. At 2:48 p.m., Osage City Police issued a description of a suspect, as described by the victim, to The Osage County Herald-Chronicle. The description was shared through news outlets and social media. The case will be referred to the Osage County Attorney’s Office for review.